Twelve-year-old Natalie Nelson has written a powerful school story. It's a short novel called "The Cheater," and her best friend Zoe is certain it should be published. All Natalie has to do is give the manuscript to her mom, an editor at a big publishing house. However Natalie doesn't want any favors from her mom. Still, Zoe won't drop the idea. Spurred into action, Natalie invents a pen name for herself and Zoe becomes a self-styled literary agent. But if the girls are to succeed, they'll need support from their wary English teacher, legal advice from Zoe's tough-talking father, and some clever maneuvering to outwit the overbearing editor in chief of Shipley Junior Books. 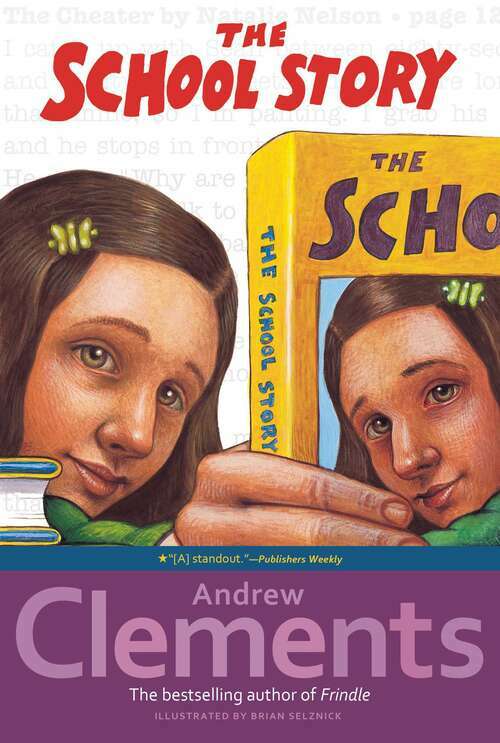 Andrew Clements, the best-selling author of Frindle, The Landry News, and The Janitor's Boy, delights his audience with this story of two irrepressible girls who use their talent, ingenuity, and a little cunning to try to make a young writer's dream come true.